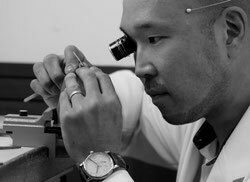 The beginning of all the watchmaking begins with design, concept. 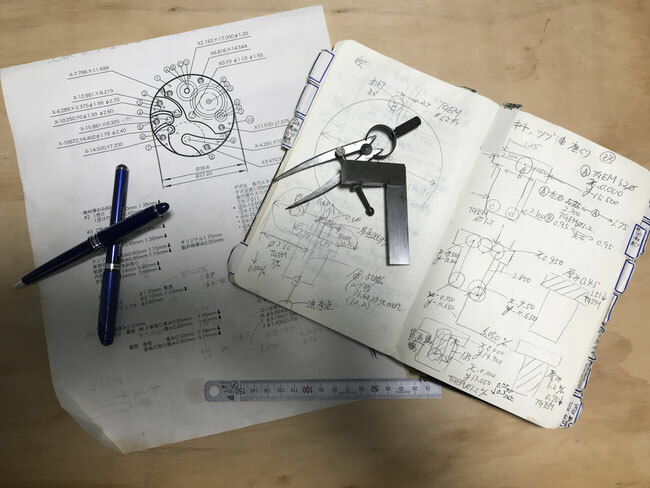 While imagining completion time, we decide the concept and will cover a wide range of sizes such as the size of the watch, the shape of the movement and the distance between the axles of the shape of the receiving. If there is a problem at the stage of designing, deviation will occur at the time of production, so we will proceed with the adjustment repeatedly.